Thank you so much for joining me on my blogging adventure. It may take me some time to find my groove, and you may see me jumping around a bit to different topics. Please comment on which topics are of most interest to you, and I will do my best to give you what you need and enjoy. Today, I am writing on one of the topics I had in mind when I set up this website – advice for child life specialists, but my hope is that it will be helpful for teachers and caregivers as well. A wise man, Jon Luongo, advised me that I have a great deal of writing material squirreled away in the posts I have been making to the Child Life Forum for a number of years. Today I responded to a request on the Forum for information and resources regarding running a workshop for parents/caregivers on child abuse prevention. Below is the gist of my response. Just a few statistics about types of abuse frequency, who are the perpetrators, etc. in order to dispel some myths. A read-aloud of a great children’s book. 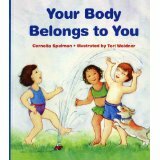 Check out the books listed on this website: selfesteemshop.com. 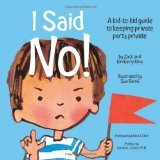 I suggest reviewing any books cover to cover for appropriateness (consider culture, developmental stage of child, gender, any hints of blaming a child) before recommending them. The most important piece of the workshop would be the discussion that follows. How do we teach the parents/caregivers how to empower the child, but not frighten the child with too much information? It is vital that we refrain from setting children up to blame themselves if they are unable to prevent abuse. 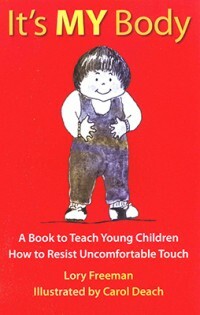 Discussions about power, shame and how children think at different ages can help. If abuse happens to a child before a child is old enough to speak, there is no cognitive memory of it. But there may be a muscle memory or physical memory. Chances are if you didn’t raise your hand, you actually do know someone who has been abused. Stigma and shame go hand in hand with abuse, and non-reporting is common for both children and adults who look the other way because it is too awful to think about. One of the most helpful words ever spoken to me were by Christine Low, a social worker at Mt. Sinai. “If you can’t imagine it, you will never be able to report it.” And I suppose we can add to that: “If you can’t imagine it, you will never be able to prevent it.” No one wants to think about these things happening to kids, theirs or anyone else’s. But we must imagine it if we are to protect our children. One thing I have learned from teaching these workshops for many years is this. The more I know, the more I don’t know. These issues are a minefield of our deepest emotions, our cultural backgrounds and our life experiences. If the presenter takes an approach that reflects just how complicated this topic is, how we are incredibly influenced by our own experiences of abuse, and how there are no easy answers, she is probably on the right track. I recommend hanging back from taking the role of expert and instead taking the role of fellow explorer who has some great developmental “snacks” to share in your backpack. Very informative post. I’m sure you’ll get lots of comments. Such an important post…and so much to think about here. Years ago, when I did jury duty for a child manslaughter case, the district attorney asked each of us, “Do you believe that this kind of abuse is actually done to children?” I think she needed to know that we were open to witnessing the difficult evidence that she was going to present to us. It was a powerful moment. As a recently retired School Nurse I worked in a elementary building where the teachers refused to call C&Y, even though they were the 1st to notice and then questioned the child; so I did the reporting. I know the Guidance Counselor in our building used these books. At the HS level, there was still parents, and also boyfriends who abused both physically and sexually. I thought about purchasing the books when my granddaughter came along. However, her mom, my daughter, is a Supervisor for C&Y in our area and I know she has taught her daughter well…after all the horrors that she has seen. Have you ever heard that? It is a pat phrase when something is too appalling, and the grind of care work feels like too much.